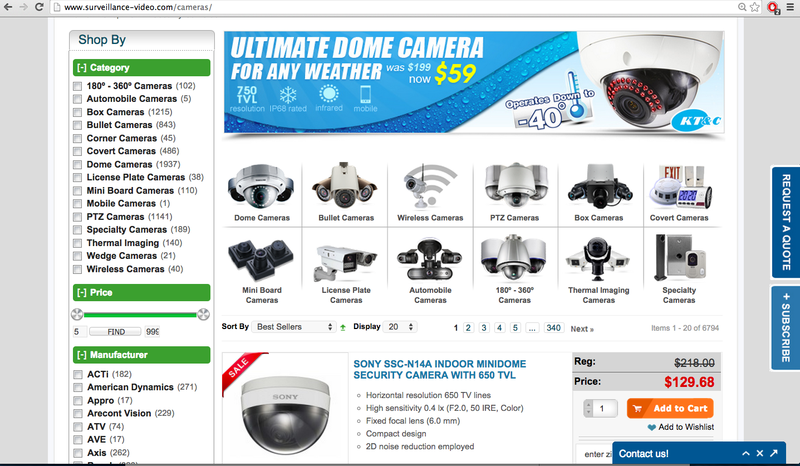 "Konstantin and the whole team at Goivvy.com have done a fantastic job for Surveillance Video. I am really happy with their exceptional service . When I have a question they are always there to answer, they have more than an outstanding customer service. After having many bad experiences with my previous developers, I am glad that I have found Goivvy. They are true professionals and their Magento knowledge is incredible, I am impressed. I would recommend Goivvy's services to all my friends and clients." 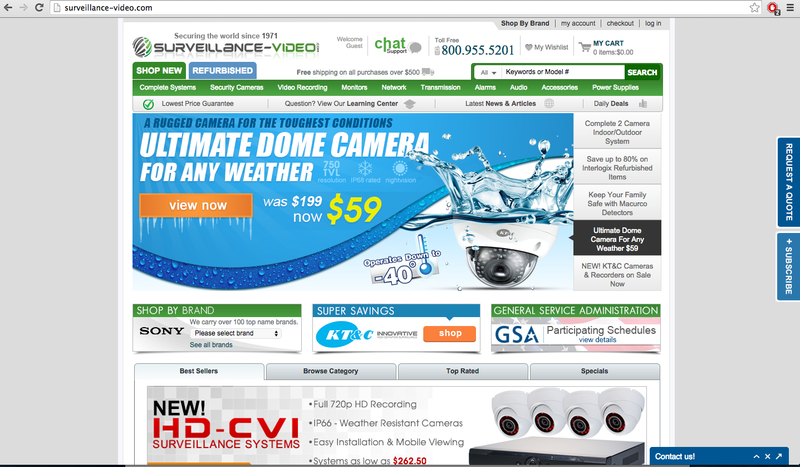 SurveillanceVideo (SV) sells the latest electronic surveillance equipment. Having over 50k SKUs in their magento webshop it is a must to have good magento developers to make sure ecommerce application runs as it should be. We have been working with SV for over a year now and we are trying to keep that business relationship going providing high quality magento support and maintenance. In this case study I will go over a few tasks that we helped SV with. I am not allowed to reveal any specifics so i just briefly describe the task, what problems we faced and how we managed to solve them. First we tackled an issue of SV website being slow. Category pages with extensive layered navigation were taking 10s+ to load which was unacceptable for any profitable ecommerce website. Customers would not simply wait that long to check out items. We audited php code, optimized time to first byte (TTFB) and implemented full page cache solution to make sure pages load within 3s. Also we optimized the server the website was hosted on to prepare SV website for high traffic. We helped SV setup product feeds for various purposes. They purchased custom extension that did all backend work and we set it all up and configured properly. A few months later Erion from surveillance-video.com asked for a few modifications to that plugin so that it included custom product attributes there were not there before. We added needed data as well as fixed some bugs that were discovered while using the extension. Group prices is relatively new feature in magento application. SV wanted to utilize that ecommerce functionality but faced problems with importing and exporting the necessary data. We analyzed the magento group pricing code and did a few modifications that allowed SV to export and import CSV files with data correctly. Surveillance-Video.com is a great client to work with and we are glad to provide high quality magento support and be their magento development partner.